Excel Building Systems Co, Inc. Comment: A 3 piece wooden window unit needs the large glass picture window and frame replaced without having to replace the entire 3 piece unit which has two double hung windows with storm and screens attached if possible. Need professional opinions. Comment: A few small projects: - Small Interior trim repairs to multiple door frames caused by cat. - Dog chewed into stair tread end-cap (the piece that shows from the side of the stair tread). - Need to look at problem with sliding door. Door becomes very hard to open and close. - Outdoor light post has rot on bottom - Replace any areas rot on outdoor window trim need to be replaced. I haven't looked but there is always one or two. - Repair floor in kitchen sink cabinet. Water damaged. Prepping house for sale. Comment: Install wooden stairs over concrete stairs front door of house. Vinyl railings need to be added. N. A. S. Home Improvement, Inc.
Wareham Carpenters are rated 4.87 out of 5 based on 202 reviews of 28 pros. 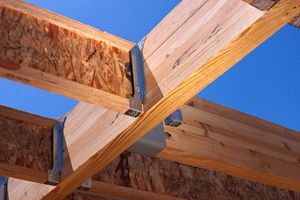 Not Looking for Carpenters Contractors in Wareham, MA?